The Five Truths of Biblical Stewardship that All must Master. Live by them, memorize them. They are the lifeblood of this teaching! Start by praying; expressing your need of His help and provision in this time of your life. Express your thankfulness, gratefulness and worship Him for all the good things you know He does for you now, and those secret things you don’t know about. Expect that as memorize these Five Principles, God sees your effort and will richly bless you. Do you feel pressure from the world to make expenditures that are beyond your means? You get to choose: The Scripture teaches “Many sorrows come to the wicked, but unfailing love surrounds those who trust in the LORD.” Psalm 32:10 As a believer, we are to have a new mind, the mind of Christ. Your Attitude and following these new habits is what will change Your Course! This being the case, what should guide our attitude concerning spending habits? Are you ready to use this New Wisdom and apply it to your financial life today? Are you ready to be honest with the Lord, your spouse your peers and most importantly yourself? Do you want to seek that ultimate congratulations from Christ in Heaven and attain all God wants for you? Let the old way of life pass off. Break the old habits and form positive ones that reflect Gods heart for you using these laws. Do this and it will change you and your family’s lives forever. Now we will teach you a more excellent way, the Masters Way! As before said, memorize and repeat this verse daily – it will guide and change your life. 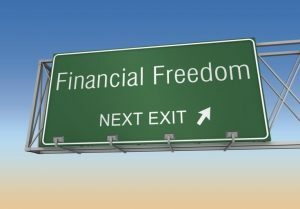 As most people have formed unhealthy financial habits over a period of years, a multi-disciplinary approach is vital to achieve success – and with God’s help, you will now defeat those destructive habits of overspending, using debt, giving out of your leftovers to God rather from your abundance, having no emergency reserves and finally; having no long-range Plan. The Five Principles cover all these. All require acquiring new habits. The sum of them will transform your financial life. The following is a checklist worthy of saving. See appendix. Making it Work Checklist…Think about It! Expect a Miracle that encourages you, as God sees your new path! Now that you’ve committed to being a faithful steward, what’s next? A written plan. No more spending until the debit card doesn’t work or the bank calls asking for additional money because of new overdrafts. No! You will now have a plan for every dollar and are sticking to it. Here’s where we can help in some simple and practical steps. Begin a control system. Leave your debit card at home and go with cash based on the Form 1 Budget sheet items where possible in the back of this book. Items such as car gas, groceries and you’re eating out budget items are a good place to begin using cash. More on this is found in the next chapter.